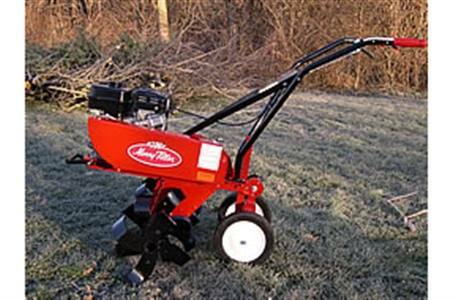 The Merry Tiller® Mid-Tine® International Tiller is the best. There is no soil the International cannot handle. With more torque than the Suburban, the International powers through the soil quickly and efficiently, creating deep loamey earth great for your gardening needs. 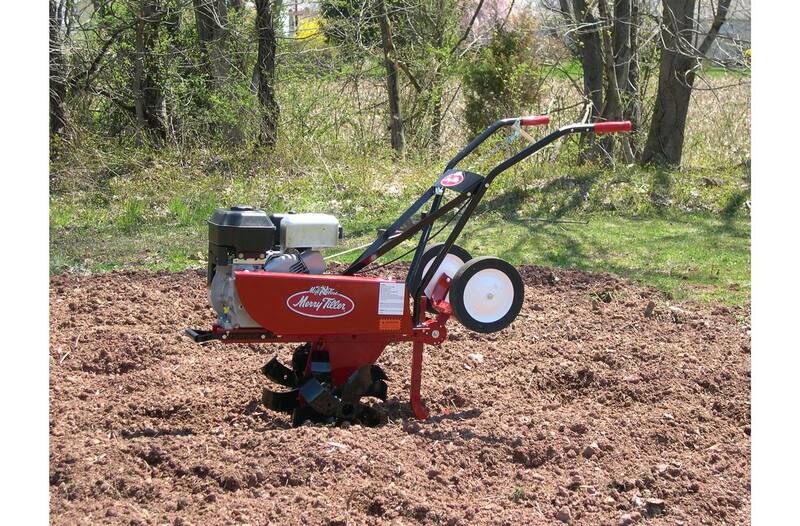 Whether it is expanding an existing garden, creating a new garden, or tilling a mature garden, the International is the perfect tiller. The International features a triple gear reduction transmission creating foot pounds of torque. The double V-belt drive systems provides a better power transfer to the tines. The International is rental and commercial tough. This tiller will last for years without the costly maintenance that others require. The heat-treated sprockets and heavy duty roller chains of the transmission ensure the longevity of the machine.